As many of you may know, President Trump arrived to the Capitol Building in Salt Lake City yesterday morning to sign off on the new boundary changes that have been proposed for Grand Staircase Escalante National Monument. The proposal divides the area into 3 much smaller monuments, Escalante Canyons NM, Kaiparowits NM, and Grand Staircase NM, and also excludes more than a million acres of Wilderness Study Areas within Escalante that will be left unprotected or designated for coal mining. For those of you who aren’t familiar with the Escalante area of Southern Utah, these are just some of the more significant and popular regions and how they will be affected. The entire Hole in the Rock Road proper would be excluded from the National Monuments. The reason this is being pushed is so that certain organizations can have the road paved and use it without being restricted by Federal Land laws, allowing them to take groups bigger than 12 persons (rumor is they would like to be taking tour groups of 100 people at once) to the historical pioneer site, Hole in the Rock, located at the far south end of the road. The historical site would most likely become a State Park. This would undoubtedly impact all of the other beautiful, pristine wilderness found along that road, regardless of whether it will still be within the NM boundaries or not, with the easier access of a paved highway. 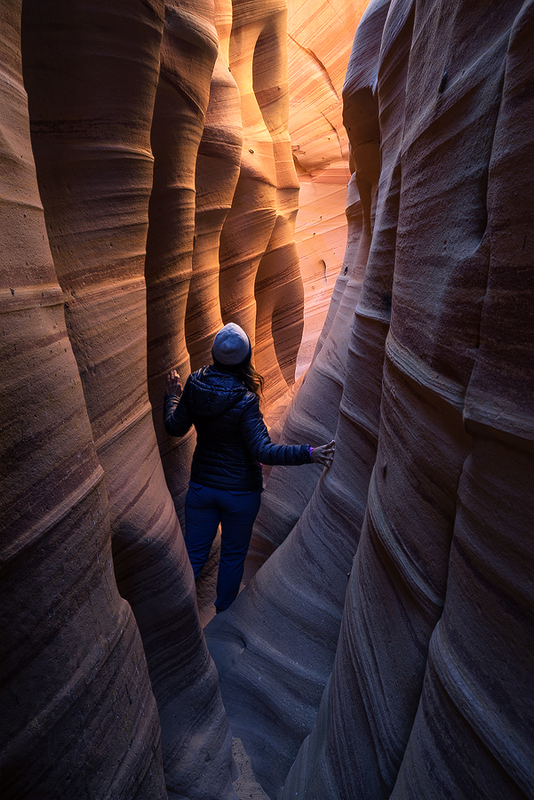 Foot traffic will increase which not only disturbs the wild experience and feeling for visitors in these remarkable and remote places, but will also be the cause to increased damage and erosion to the delicate sandstone they’re made of. 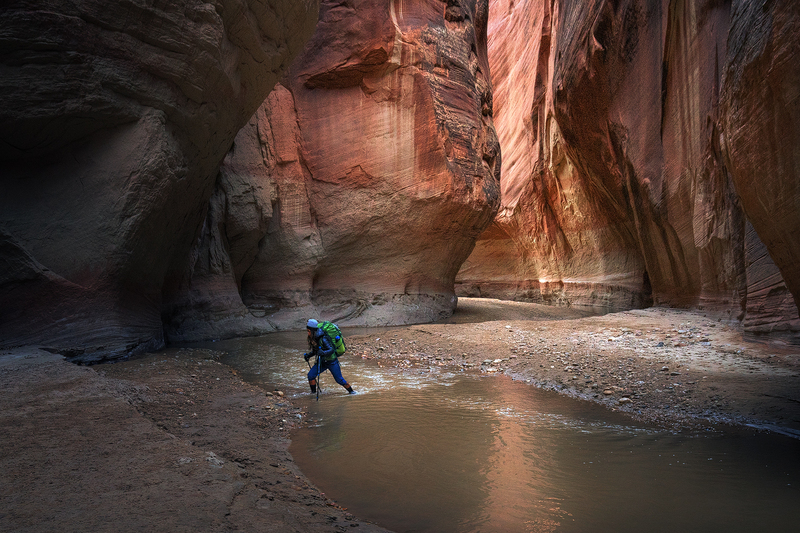 We’ve already seen more than enough names carved into the walls of slot canyons this year. The four, exquisite slot canyons located in the Dry Fork of the Coyote Gulch will be excluded from the National Monument. These are Dry Fork Narrows, Peek-A-Boo Gulch, Spooky Gulch, and Brimstone Gulch. 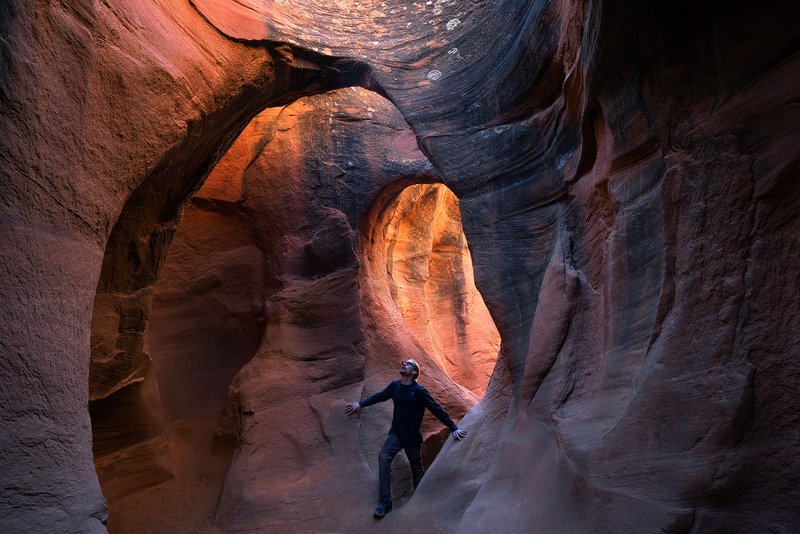 These spectacular and unique slot canyons will no longer be included in any National Monuments, which means they will no longer be preserved by the Antiquities Act that protected them before. They could then be privatized and closed off to the public and be used or sold for whatever means the owners feel like. The Wahweap Hoodoos area is in a section that has been excluded from all 3 of the new National Monuments and is designated for coal mining. 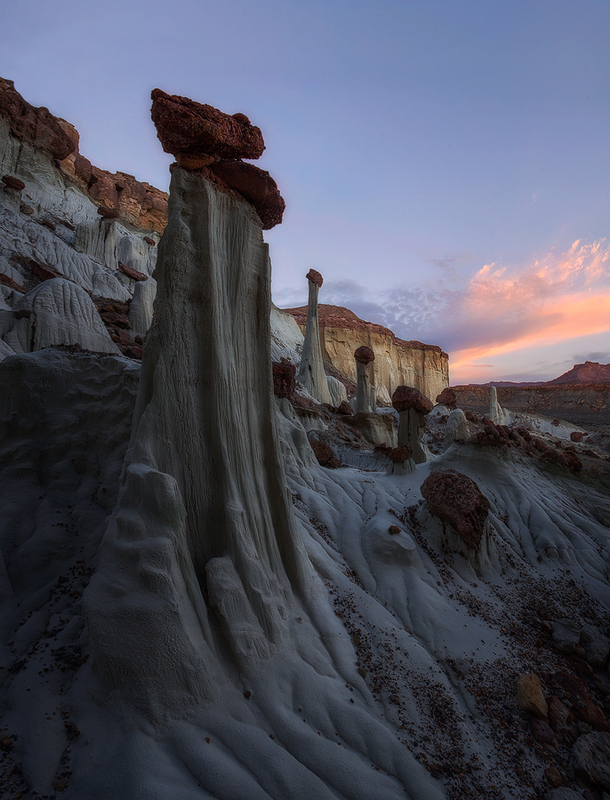 While the specific location of the hoodoos along the wash that is the main attraction here may be left intact, the mining surrounding this Wilderness Study Area will undoubtedly disrupt the fragile ecosystem and the feeling of having a wilderness experience here with factories obstructing the views and producing loud noise. The entire area will also most likely be fenced off and will not be accessible to the public. After the mining is done and all the coal has been removed, this scarred earth will never recover or return to how it is now. 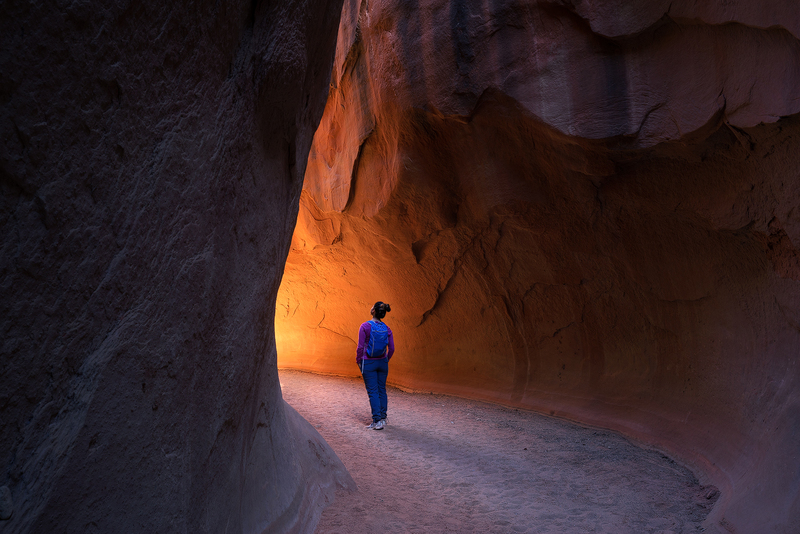 Buckskin Gulch is the longest and deepest slot canyon in the Southwest, and arguably one of the most remarkable. The Paria River, just next to it, is another remote and unique place full of incredible sandstone formations, rainbow colors, and winding canyon walls. While only the upper sections of these canyons will be affected, since the rest belongs to the Paria-Vermillion Cliffs Wilderness Area, the access to them could eventually be closed off to the public and without Federal Laws protecting them they could be altered and damaged. With part of them unprotected, it will just make it more likely for the rest to be excluded as well later on down the road. It’s a shock to me that this is even an issue, as for anyone that has visited this area it would be a no brainer to keep it under federal protection and preserve it forever. I guess the problem is that the people supporting and making these decisions haven’t taken the time to visit any kind of wilderness to understand its irreplaceable and incomparable value to any kind of revenue project. After all, “mostly tumbleweeds” is how some local and federal officials that are backing these changes have described the Grand Staircase Escalante National Monument. This article originally appeared on Eric Bennett’s blog. Follow Eric’s adventures on his website, Instagram, 500px, and Facebook. What a deplorable and despicable man the 45 POTUS. Disgusted as an American! Can’t wait until he is indicted.